With over 90 years in operation, Lord & Taylor has become acclaimed for carrying designer labels and moderately-priced brands that deliver the latest trends. Founded in New York City, the upscale department store first opened in 1865 and has since become a leading retailer in North America with over 40 locations and a full-fledged online storefront. Consumers who love Lord & Taylor’s rich selection of stylish fashions may find the Lord & Taylor Credit Card useful for saving more on their frequent sprees. The credit card can make a difference at checkout if you’re a regular customer thanks to its rewards program that dishes out 5% cash back on purchases, plus cardholder access to special perks through a membership upgrade when you spend $1,000 in a calendar year. 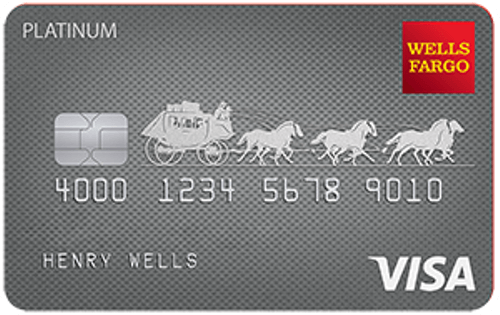 Right off the bat, the Lord & Taylor Credit Card isn’t the worst you’ll see out there for a store card. The 27.24% APR and $0 annual fee make it slightly better than most offers in the retail industry, though it’s less than ideal if you aren’t someone who pays off their balance at the end of each month. Where the card really hits the mark, though, is with its set of cardholder discounts that significantly boost your buying power at the store. The card gives a sweet 15% off on all purchases made on the first day of opening an account — no minimum value or quantity required. And, if you can’t manage to hit the store right away, you can rest easy that your wallet won’t miss out since all users receive a $10 reward for every $200 you spend at Lord & Taylor. Just remember, though, that you can’t wait too long to redeem the rewards you earn since they expire six months after being issued to an account. Other benefits of the card include access to exclusive store events and a birthday shopping offer. To add to its appeal, cardmembers enjoy benefits that make shopping at Lord & Taylor an easier experience overall. Prime examples of this are receipt-free returns and promotional financing options on qualifying merchandise at the store. In addition to an automatic rewards program membership, cardholders who spend $1,000 or more within a 12-month period can get upgraded to the Premier Rewards member tier, which serves up privileges like access to free shipping promotions and couponless shopping deals. But considering the expensive interest rates you can rack up with the card, no amount limited-time rewards and convenient shopping perks can offset the price you may find yourself paying due to its APR. Some reviews mention being approved with bad credit, so the card's requirements may be flexible. That said, the average reviewer had a score closer to 640, so, if your score falls under that number, it might be wise to avoid the risk of further hurting your credit with a futile hard inquiry. You can visit any Lord & Taylor location to submit an application, or simply tap the link below to apply online. The Lord & Taylor Credit Card works best for those who regularly shop the department store at its physical locations and online. But, for consumers who aren’t loyal patrons of the department store, the closed-loop nature and limited rewards earnings make it a tough sell. Though rewards are what makes the Lord & Taylor Credit Card worth considering, there are still plenty of other cards that earn points that can be redeemed for cash back or even travel-related expenses. Look into one of the cards below that provide rewards that may save you just as much or far more at Lord & Taylor stores and anywhere else you make a purchase. When it comes rewards, cash back credit cards are a favorite with financially-savvy spenders. 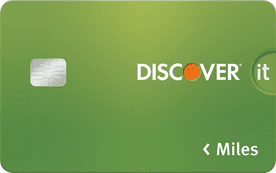 Unlike the Lord & Taylor Credit Card, which restricts cardholders to only redeeming their points at its locations and online storefront, cash back credit cards, like the recommend one below, are simple since they earn rewards that can be redeemed as a statement credit and used toward purchases from any retailer. Whether you’re shopping for daily essentials or chic wardrobe staples, you stand to earn an impressive amount every time you buy as a cardmember. One of the most important factors to consider with any credit card is the APR since high interest rates can outweigh the perks on even the most generous rewards. But, with a 0% APR card, you won't need to be concerned about paying off your purchases right away. The best intro-APR cards offer at least 12 months of interest-free purchases. While you can buy stylish outfits to wear on your upcoming vacation with your Lord & Taylor Credit Card, it's not going to get you any closer to your trip. With a travel credit card, you can rack up rewards points on daily purchases that can be redeemed for airfare, hotels, excursions, and more, bringing that dream trip closer to reality. If you’re a fashion addict who is always looking for a deal on the latest looks at Lord & Taylor, the store credit card may serve you well. However, there are many other credit card options on the market that also deliver rich rewards without the high interest rates. That's why you may find yourself benefiting more with the flexibility of an open-loop credit card that can be used anywhere and still earn you savings. As with any financial decision you make, opening a Lord & Taylor Credit Card should not be taken lightly. Research whether the card is right for you with the insights detailed above and by considering the experiences of cardmembers in the reviews below. Is the Lord & Taylor Card Right for You? Because the retailer carries a wide range of premium and designer labels, Lord & Taylor is often associated with high costs. Fortunately, with the Lord & Taylor Credit Card, you can save every time you make a purchase at the department store through its cash back rewards offers and enjoy an enhanced shopping experience with the special insider perks it provides to users. However, compared to several other credit cards on the market that also earn rewards, the store card doesn’t compete well with its steep APR and its restriction to store-only purchases, and because it doesn’t give cardholders generous rewards. Unless you’re always tossing items into your cart at Lord & Taylor, you’ll do much better with an open-loop credit card that unearths money-saving rewards on purchases wherever you shop.